Fabbri G. – Pract Proced Aesthet Dent. 2008 Nov-Dec;20(10):593-8; quiz 600, 611. The aesthetic rehabilitation of patients with functionally compromised dentition frequently involves a multidisciplinary approach. A correct aesthetic diagnosis, treatment plan, and careful material selection are critical factors in successful restoration. A team approach that includes the clinicians, the laboratory technician, and the patient is essential to achieve the desired result. 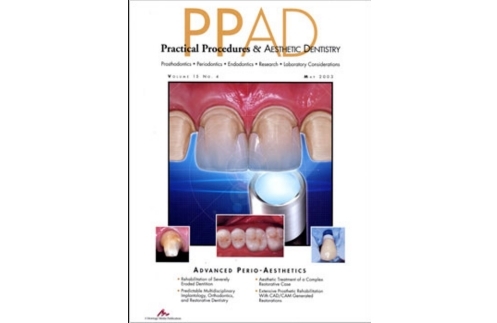 The following case presentation demonstrates a successful multidisciplinary approach used to recreate an aesthetic smile in a young patient with functionally and aesthetically compromised anterior maxillary dentition.